Dragons, TV series adaptation for How To Train Your Dragon by Dreamworks, is one of a kind. It started out with Season 1 entitled Dragons: Riders of Berk, which is as much as very good as the movie itself. The superb plot and animation are the regular praises that always come from us whenever we watch it. Come September, the second season of this well loved series will bring a new mix of fun, excitement and a lot of Hiccup. This season, Dragons: Defenders of Berk, could very will bridge the five-year gap of the first and second movie, which will hit cinemas on June 20, 2014. Watch the trailer of the Season 2 Dragons: Defenders of Berk. Now that Alvin the Treacherous has gotten hold of the secrets of taming the dragons, how will this affect the future of Berk? 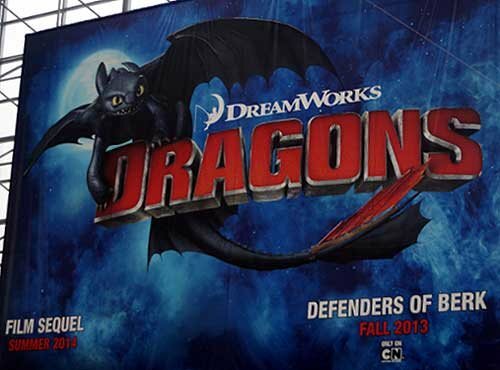 Dragons: Defenders of Berk will premiere on September 10, 2013 and will be composed of 20 episodes just like the previous season. Season 3 is confirmed to be called Dragon Masters.